The iPhone has been a success in part because of the large number of third-party apps available for it. Likewise, the usefulness and ultimate success of the iPad (beyond the early adopters) will depend heavily on what developers create for this new form factor. We expect to see a flurry of activity now that the iPad is out “in the wild.” We also expect the pace of app releases to snowball as we head into the Fall. 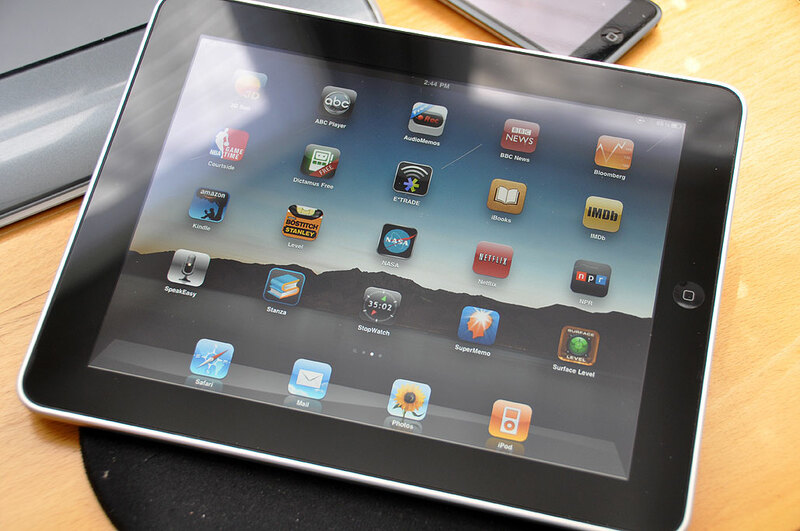 At launch time, there were already over 3,000 apps written specifically for the iPad. The price of an iPad app is averaging a few dollars more than iPhone apps, although many of them are free. We scanned the AppStore and downloaded a bunch of free but promising-looking ones. We expect this set to change. As with anything free, some are worth the cost, some not so much (really, some of them we should be paid to use). We have culled the list and settled on a set which we found to be innovative, useful, or just plain fun. 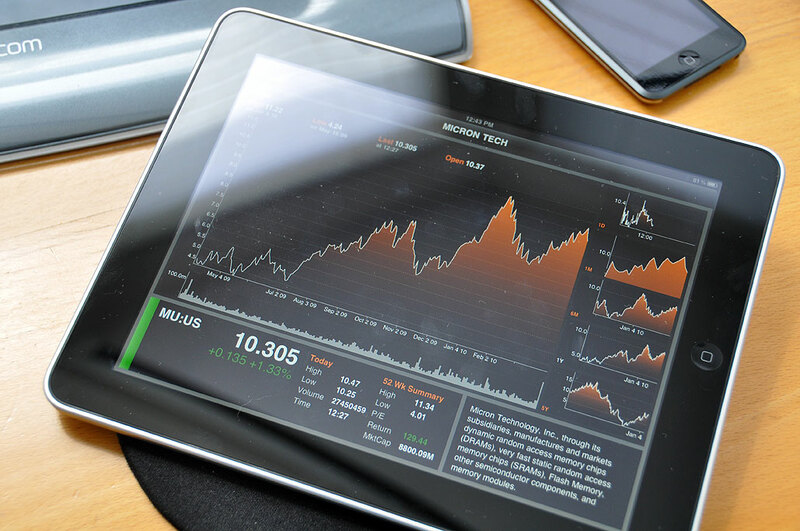 Tracking the stock market is an excellent application for the iPad. ETrade and Bloomberg both fielded strong iPad apps for that purpose. Both apps are free and very well implemented. We will be using them everyday. We’ll have a more detailed InTheWild report on them in May. 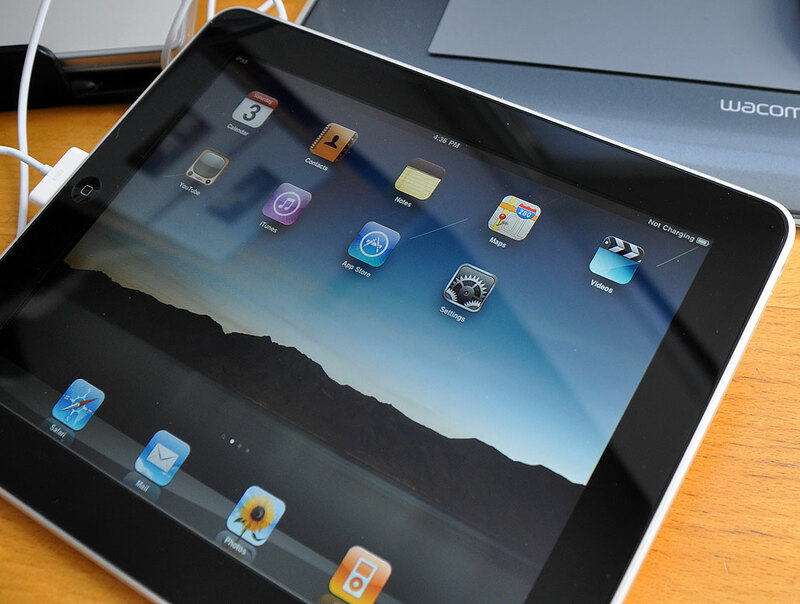 The iPad may be the vehicle by which an entire industry is saved. That industry is, of course, is magazine and newspaper publishing. Many major publisher (WSJ, NPR, etc…) have a free app for the iPad to view their content. News providers have been getting hammered by the explosion of the Web. The major source of their revenue is from advertising, and they have had a difficult time monetizing the Web using their old model. The hope of newspaper and magazine publishers is that the iPad will finally enable them to leverage their size, expertise, and global connections to once again sell content, that would reinvigorate their declining advertising revenues. Unlike a website, an iPad app enables publishers to have more control over when and how ads will appear, for how long, and in what format. It will also give them the real time stats they need to demonstrate their reach and/or effectiveness. Learning will also see a major impact from the iPad. Interactive and immersive learning tools will finally be literally “at your finger tips.” Want to see what is in the night skytonight? A hundred years ago? A thousand years from now? There is an app for that. Want to rotate a DNA molecule with your fingers? There is an app for that. Want to see what the weather is like? With or without cloud cover? There is an app for that. The obvious next stop is electronic textbooks. But things like interactive homework and child-specific paced learning protocols are just around the corner. This is because the interface to using the iPad is so simple and intuitive that even young children will be able to use it with just a few simple instructions. No typing skills needed. Amazon has provided an excellent eBook reader for the iPad. To some this may seem odd as Amazon is directly competing with Apple via the Kindle. The Kindle is a great device by Amazon and it kick-started the eBook market. However, in the end…Amazon is not a hardware/device maker. They are at the mercy of their tech providers. Any Kindle improvements are going to come from their tech partners. As Amazon has created an awesome infrastructure for selling books, we are guessing they wouldn’t care much where/how their books are sold as long as they get the purchase volume. We have a NetFlix account. If you don’t have one, seeing the NetFlix app running on the iPad will convince you to get both the iPad and join NetFlix. It just works. The movies are crisp, steady, and “oh so excellent” for watching anywhere (bed, couch, office). The sound from the integrated speakers are fine, but the experience is totally immersive when headphones is used. While it is true that an open OS (Mac, Windows) allows anyone to write and sell software for computers running those operating systems, it was difficult and required someupfront upfront investment. However, that software model contributed to the emergence and acceptance of the AppStore, which is not an open OS (you don’t get to choose what development tool to use and you don’t get to sell it anywhere). Users now have a single place to go to get apps for the iPhone. Buyers don’t have to worry about giving credit card info to unknown sellers, downloading viruses, or being scammed. For the small developers, the AppStore took away the headaches of marketing and selling apps. With willing buyers and lots of inexpensive apps, the iPhone ecosystem flourished. It will be interesting to see how the dust finally settles for the iPad, but we have feeling that by 2012 the world of software is going to look very different. The $500 price point was, in large part, to set a very difficult entry point for device-only vendors (HTC, HP, etc…). Device-only vendors will need to have sufficient ROI from just selling the hardware…an increasingly difficult proposition in today’s app-driven world. Apple is in a catbird position and can actually sell the device at a lost yet still make a profit from revenue generated from the AppStore. This is a HUGE advantage over all other tablet vendor. Just imagine a $200 16GB 3G iPad, subsidized by AT&T or Verizon, if you are willing to sign a 2-year contract. We would put money on the table that this will happen before the 2nd generation of iPads hit the shelves. Any takers?